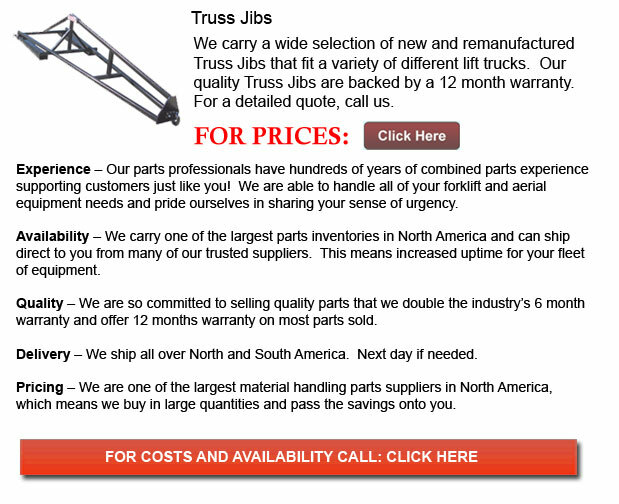 Truss Jibs - Truss jib's can be used to be able to lift, transport and place trusses. The additional part is designed to function as an extended jib attachment together with a pyramid or triangular shaped frame. Normally, truss jibs are mounted on machinery like for example a compact telehandler, a skid steer loader or even a forklift making use of a quick-coupler accessory. Older style cranes which have deep triangular truss jibs are usually assemble and fastened utilizing bolts and rivets into standard open structural shapes. There are hardly ever any welds on these kind jibs. Each bolted or riveted joint is prone to rust and thus requires frequent maintenance and inspection. A common design feature of the truss jib is the back-to-back arrangement of lacing members. These are separated by the width of the flange thickness of another structural member. This design can cause narrow separation among the smooth exteriors of the lacings. There is little room and limited access to clean and preserve them against rust. Numerous bolts become loose and corrode within their bores and should be replaced.